Stunning remodel of this oversized 1 bedroom corner unit! Spacious open kitchen with stainless steel appliances, granite countertops with overhang for seating and custom cabinetry. Large living/dining room with hardwood floors can easily accommodate dining room table. Recently remodeled bathroom with porcelain tile floors and sleek vanity and mirror. 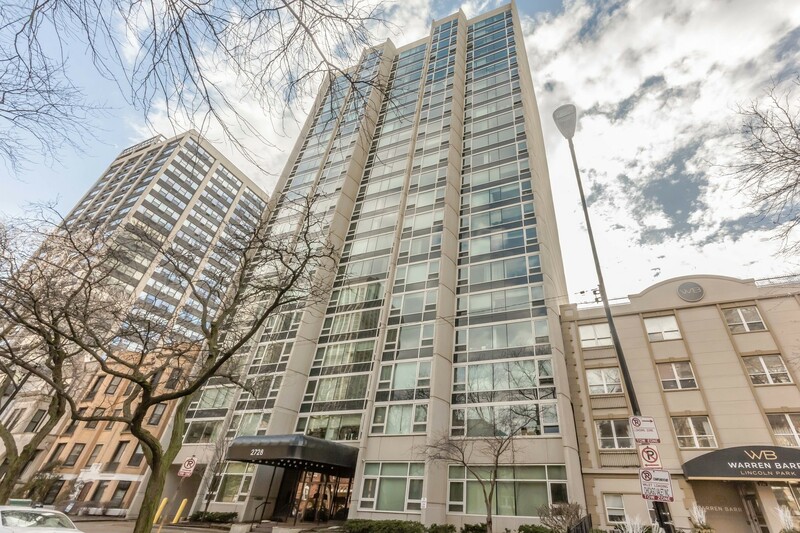 The high floor and eastern exposure provides breathtaking views of Lake Michigan and Lincoln Park. Full amenity building includes rooftop deck and pool, doorman party room and laundry. Unbeatable East Lincoln Park location. Located on prestigious Hampden Ct., you re surrounded by world class shops, restaurants, nightlife and public transportation and just steps from Lincoln Park and Lake Michigan. Garage Parking available, investor friendly building.